Lake Macquarie will soon toast the opening of the first stage of the 188-berth Trinity Point Marina, part of the $388 million Trinity Point development. Johnson Property Group has announced pontoons on its 188-berth Trinity Point marina on Lake Macquarie are completed in the first stage of what will be one of the largest marinas in NSW. Located at the $388 million Trinity Point development on the shores of Lake Macquarie, 94 marina berths will be available under a two-year licence agreement to those who purchase land or terraces. The marina is on track to be completed and operational by late 2017, just over a year from the start of construction. 29 blocks have already been purchased. Stage One completion will see 94 marina berths become available for a two-year licence period in a range of sizes which will be able to accommodate boats from 12-metres up to 30-metres (100-feet), including speedboats and yachts. Licences will only be available to buyers who have secured a slice of Trinity Point, with a limited number of blocks of land and terraces still available. Keith Johnson, founder and CEO of Johnson Property Group. The construction of stage one of the marina will include amenities and road access at a total cost of $8 million, which has been solely financed by Trinity Point developer Johnson Property Group. Johnson Property Group has also developed and financed the infrastructure surrounding Trinity Point which is being designed as a short stay and day trip holiday destination. Australia’s leading marina construction firm Bellingham has been commissioned to complete construction of the marina which will include the drilling of the marina piles. The construction will create a raft of short term and permanent jobs in the area. The marina itself has been configured by marina designer and operator Les Binkin, who owns and operates marinas in Gosford and Lake Macquarie. An engineer by trade, Les is passionate about boating and has a solid understanding of what patrons want. I’m delighted to be working with Johnson Property Group to deliver this significant maritime asset for the Lake Macquarie region,” Binkin said. “With Sydney offering a limited number of marina berths at premium prices, keen boaters are looking for alternatives. Lake Macquarie offers a unique and picturesque location and there has already been significant demand, with limited availability in nearby Gosford and Lake Macquarie,” he said. 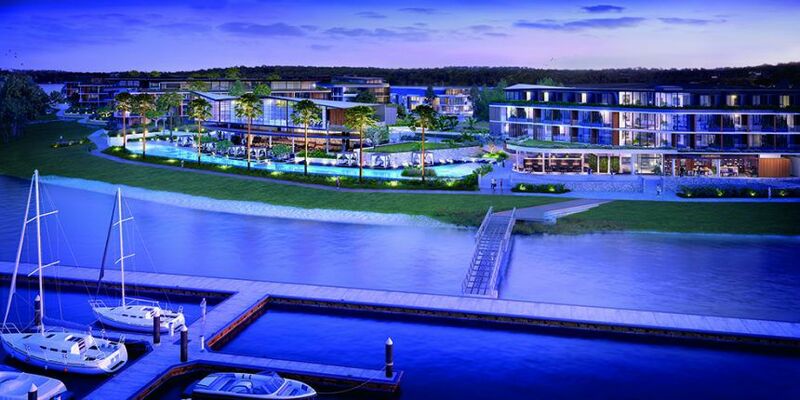 The 5-star resort, residences and marina will be the jewel in the crown of Lake Macquarie. The new marina will comprise five marina arms and hold vessels up to 100-feet. It will also include a number of state of the art marina facilities such as a marina lounge, ensuite showers and maritime focused retail. 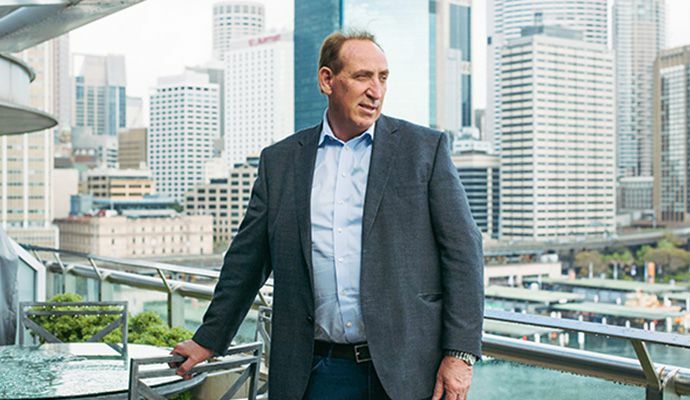 The delivery of Stage One of the marina marks a major milestone in a 15-year journey for Johnson Property Group, CEO, Keith Johnson. “The completion of Stage One of the Trinity Point marina has been 15 years in the making and a result of years of hard work and planning to deliver not just the 188 marina berths, but the infrastructure which will support the entire community,” Johnson said. The inclusion of first class marina facilities and five-star hotel amenities is set to position Trinity Point as a destination for luxury resort style living. Spanning 23 hectares of prime waterfront land, Trinity Point is idyllically located overlooking Barden’s Bay in Lake Macquarie, just 88 minutes’ drive north of Sydney and 30 minutes’ drive from the Hunter Valley and Newcastle.